Home Features Is digital health enough? 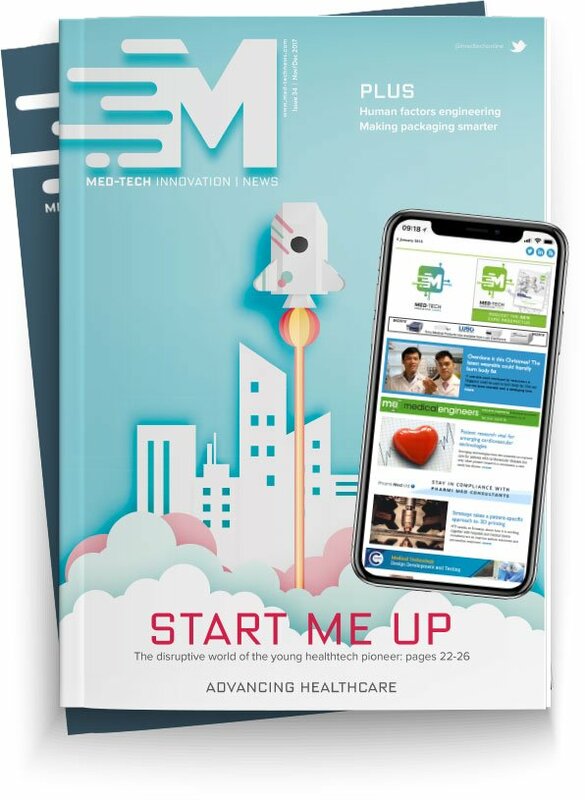 In this article, published in our sister title Medical Plastic News' latest issue, editor Lu Rahman looks at the potential that digital health holds. In the last few years the digital health sector has grown at a considerable rate offering digital devices, apps and innovation from all areas of the medtech market – all aimed at improving processes for both the healthcare professional and the patient. It’s hard not to be impressed by the level of digital innovation hitting the healthcare sector. From apps that monitor the way we take medication, to systems that track our vital signs, the technology now includes artificial intelligence (AI) systems that have the potential to track when you’ll actually be ill.
Medical device and pharmaceutical companies are harnessing AI and apps to be used in conjunction with their products. A recent report – The Future of Apps – was commissioned by app security and cloud solutions company F5 Networks. It looks at technological and sociological trends across automation, biometrics, IT and technology sectors. It found that one of the major factors that will affect app development, is AI and the rise of machine learning. If it’s all starting to sound pretty far-fetched and the stuff of the latest Hollywood blockbuster, you’d be forgiven. One company already using AI to diagnose, is Babylon Health. Users input symptoms into the app to receive a response. The app uses algorithms, clinicians and data analytics to consult a large database of illnesses and symptoms. Medical device company Medtronic is working alongside IBM’s Watson AI platform on diabetic management. The companies claim they have developed a ‘cognitive app’ which acts as a personal assistant and can predict diabetic events before they happen. By changing the way healthcare is managed, potential savings can be accrued alongside an improvement in patient outcomes. It’s technology at its best. But are we missing something? Digital health aims to empower the patient and the clinician. But how much of the technology actually frees up the doctor’s time? Isn’t logging on to read patient stats another task to fit into already-overloaded schedules? Every doctor wants to improve the patient experience. If we have a medical device that allows the user to administer correct doses of medication at home and record his or her data remotely for the doctor to monitor, then of course this is a step forward in medicine and the treatment of patients. But do we actually need to take a step back? Patients are also consumers and digitally take control of all aspects of their modern lives – whether it’s when the grocery shopping arrives, the way calendars are accessed, insurance organised, insurance switched, or finances managed. The consumer takes control, digitally. But when it comes to health it’s a different story. We wait to see what happens to us and when it does, we lean on the healthcare system for solutions and cures. We know the UK the National Health Service is under pressure. It’s old news that obesity and diabetes are rocketing. Giving patients digital tools to record their data and receive medication is a fantastic use of technology. But wouldn’t it be even greater if we could engage with them before the damage was done? Self-care should be part of the digital health mix. We should be encouraging every one of us to examine our lifestyles, our activity, our genetic make-up and take that as a starting point for future health conditions using the very technology we have become so accustomed to using in a daily basis. There is a growing movement to understand the patient and their make-up. Personalised medicine has become the new way of tackling illness and healthcare professionals are increasingly considering all aspects of a patient – not giving a homeless person refrigerated medicine, for example. Isn’t it time to think about the individual aspects of our lives so we can build and manage our own digital health profile? Taking more responsibility, managing our day to day choices – digitally – aware of the long term effect some of those may have, might save resources. It would also save valuable time for clinicians too.